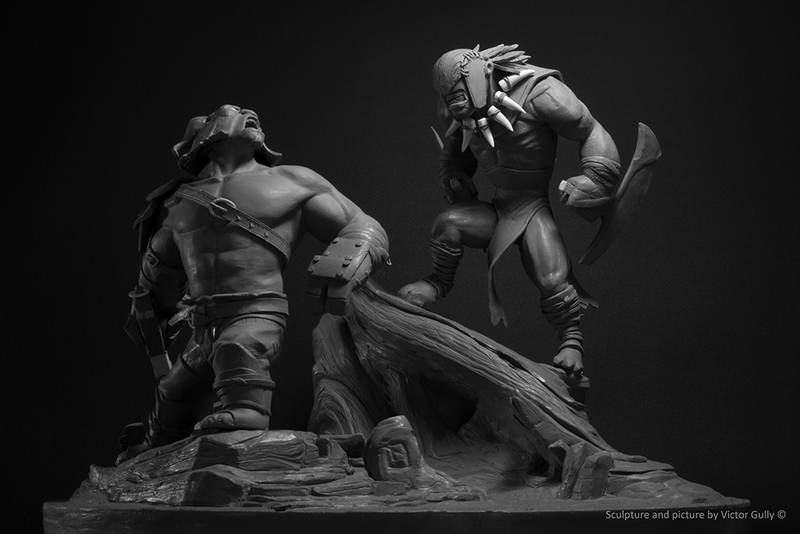 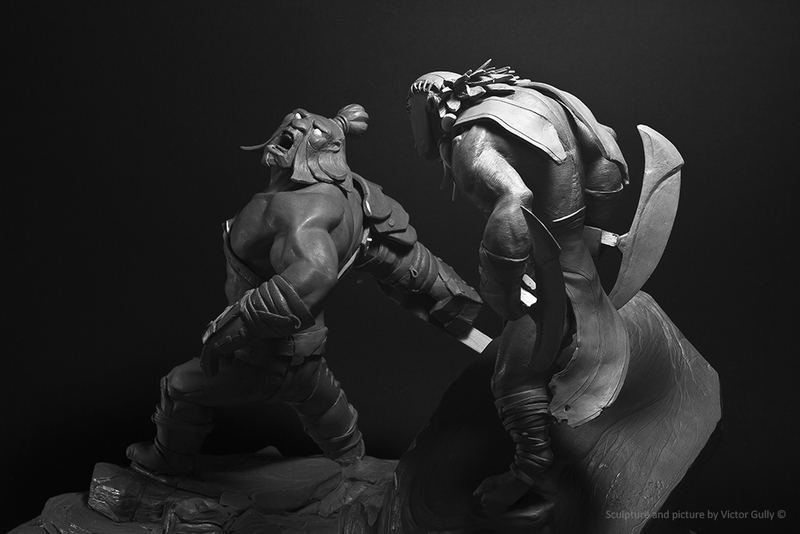 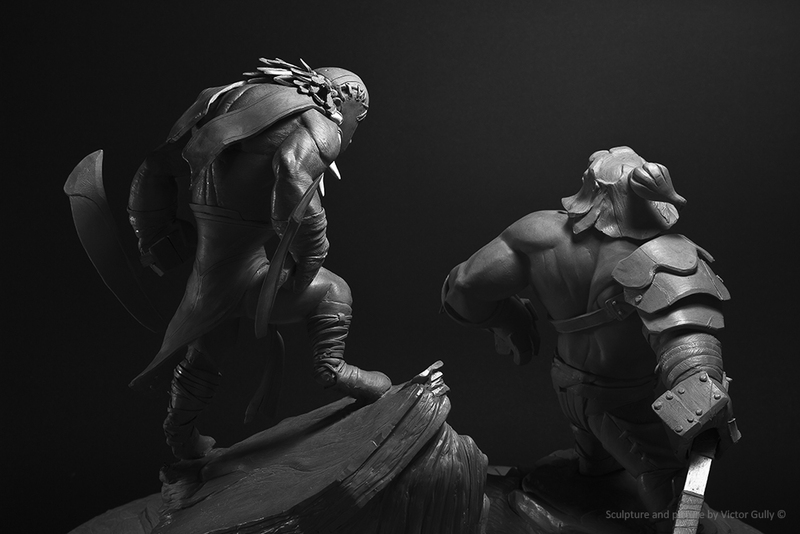 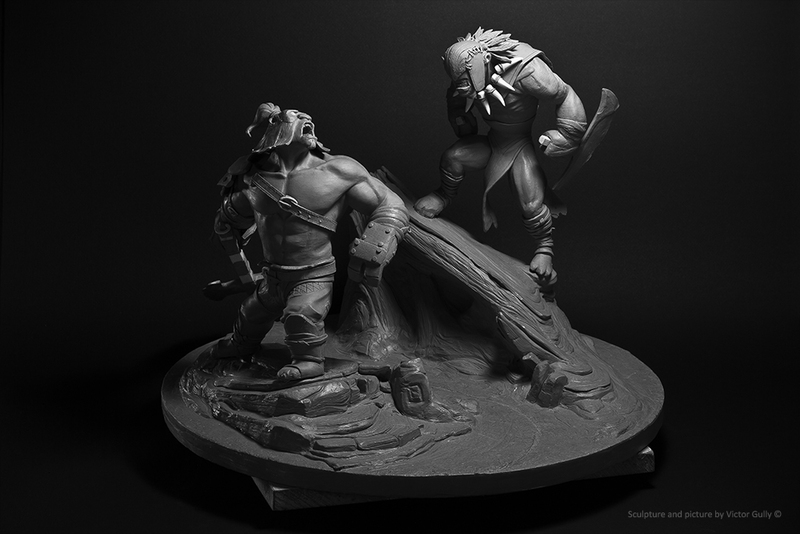 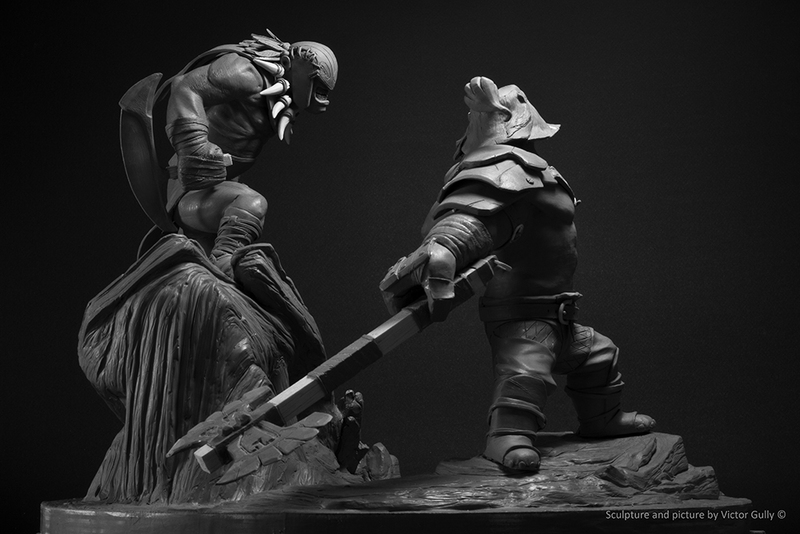 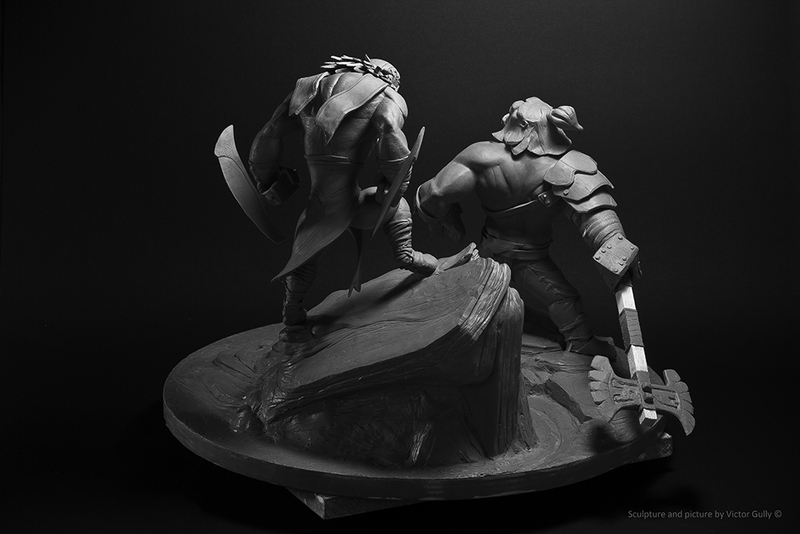 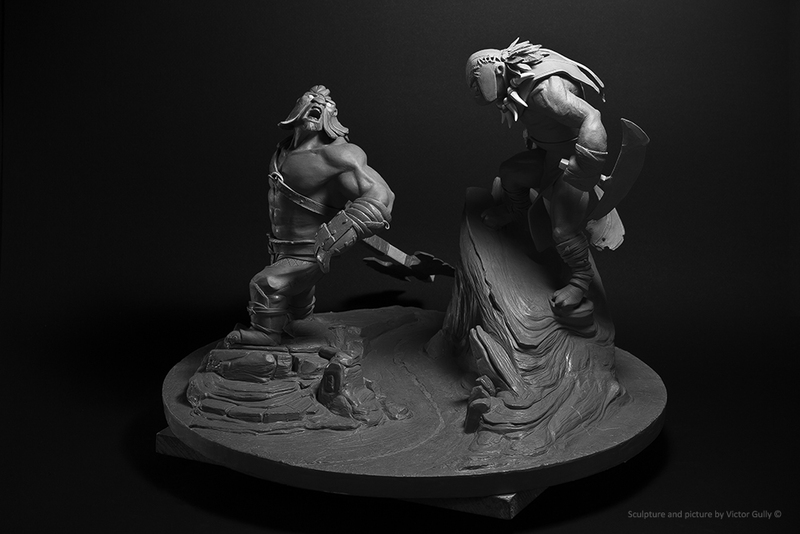 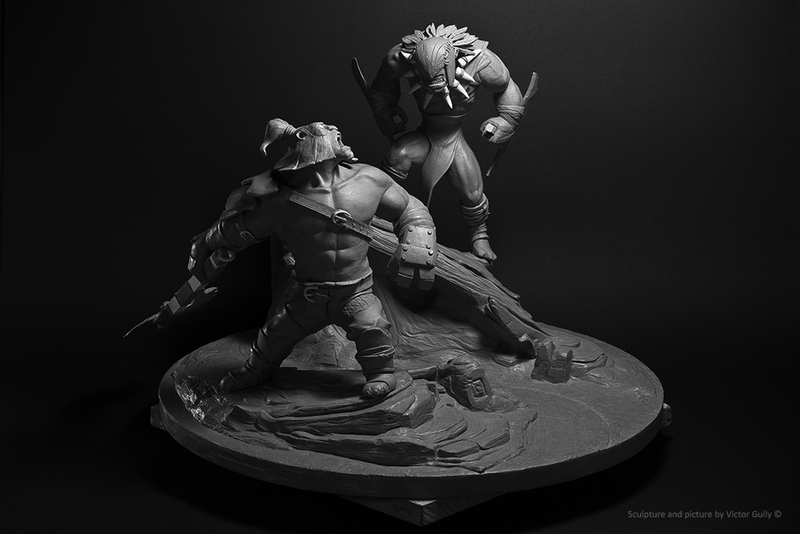 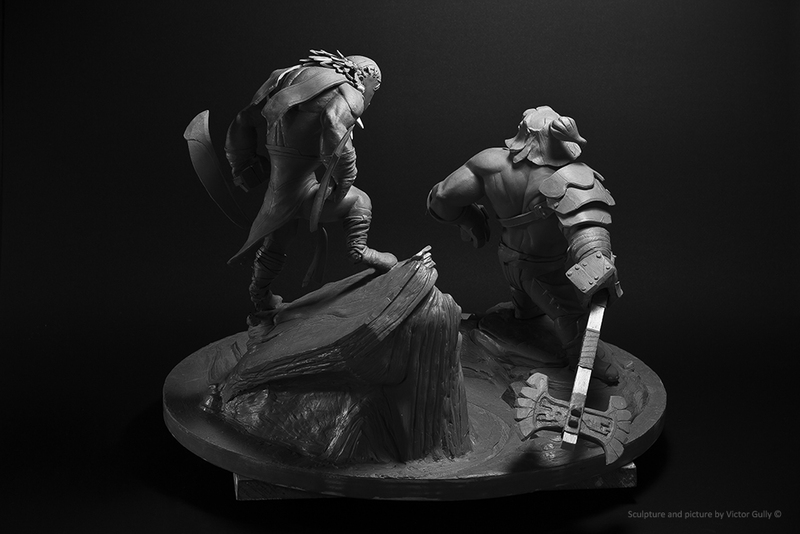 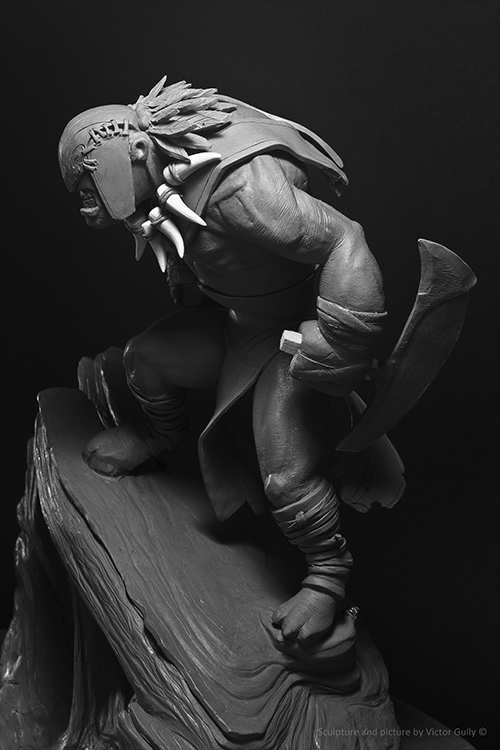 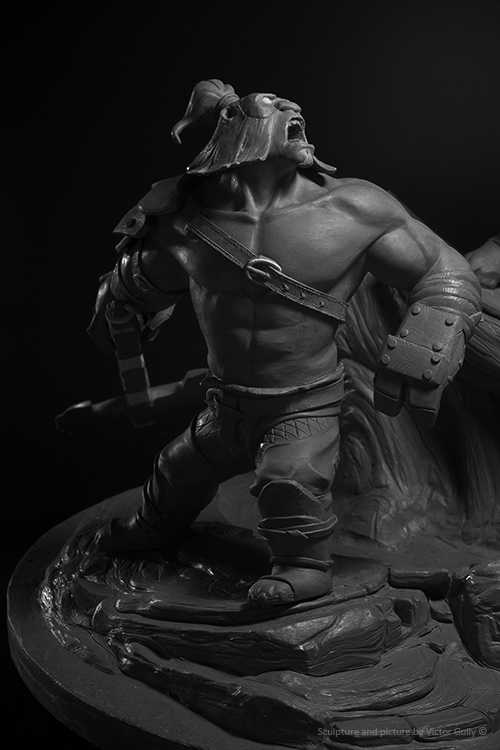 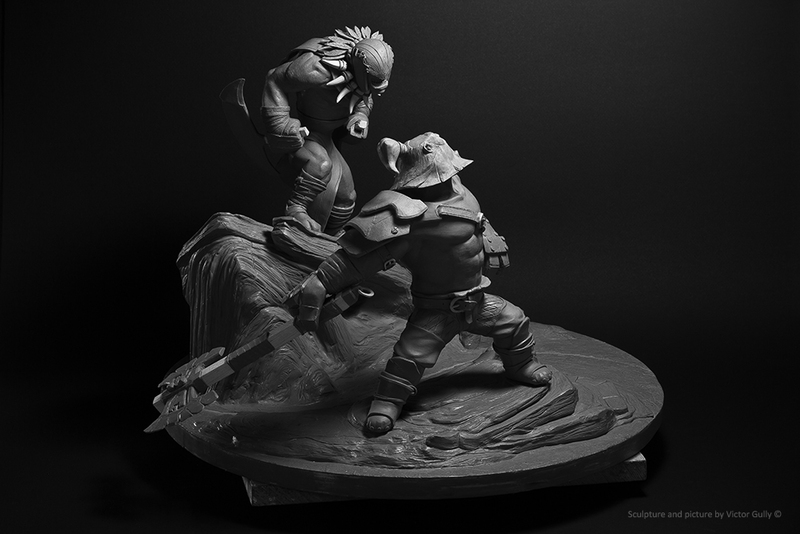 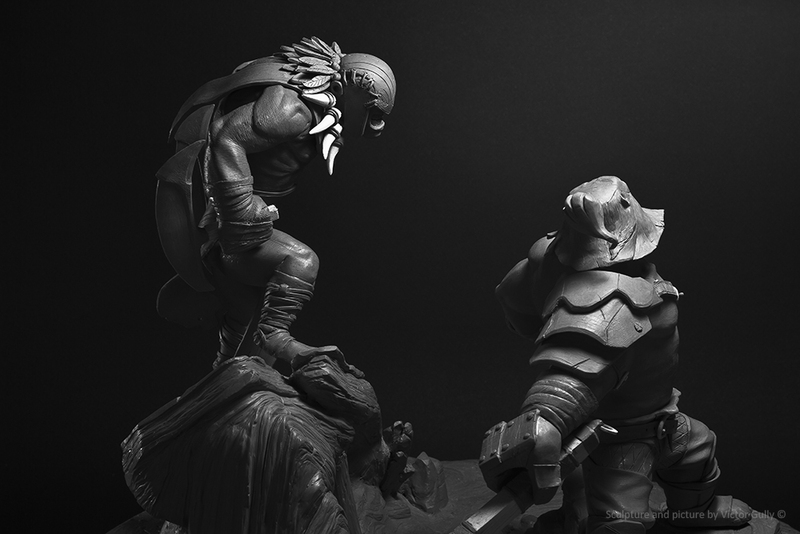 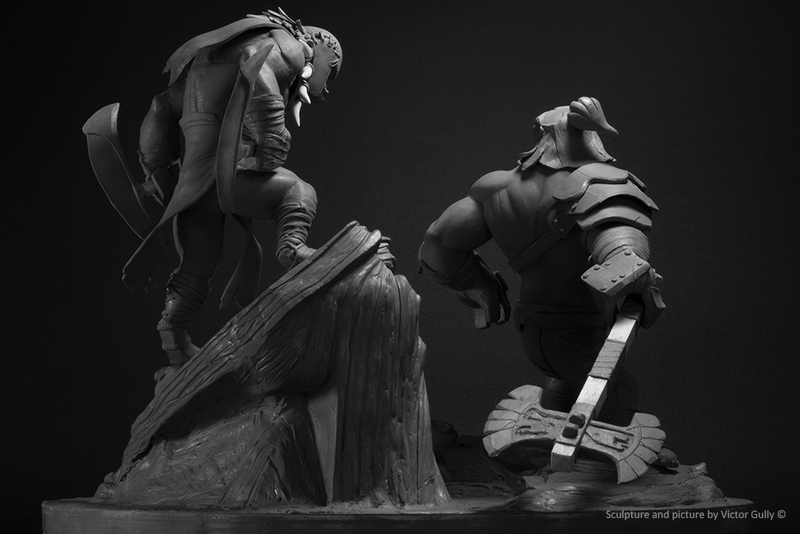 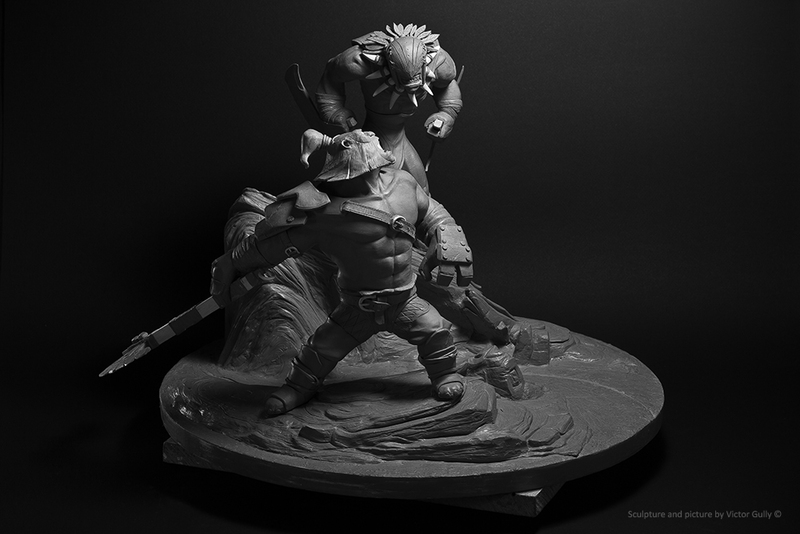 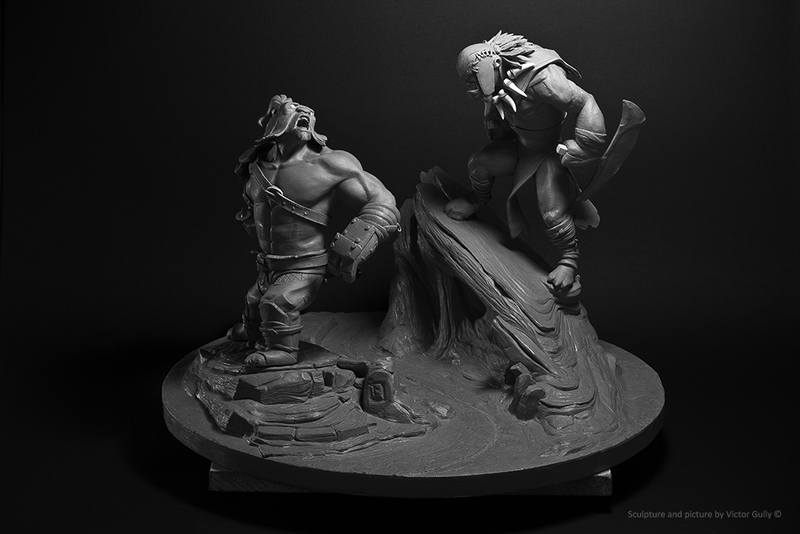 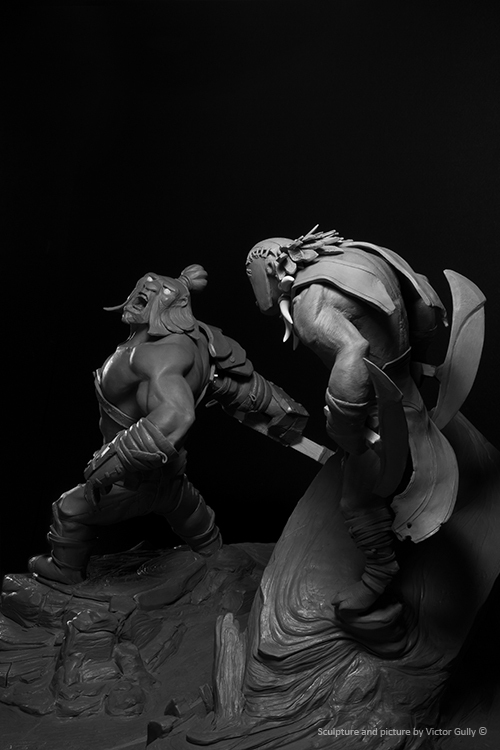 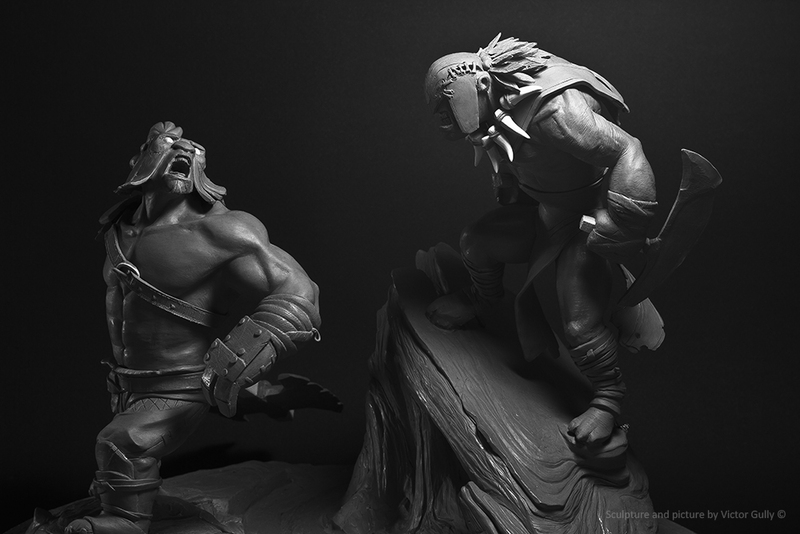 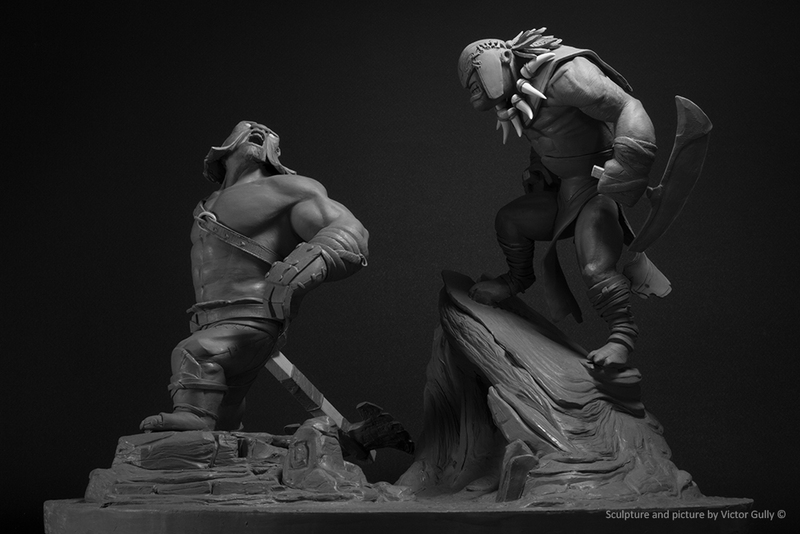 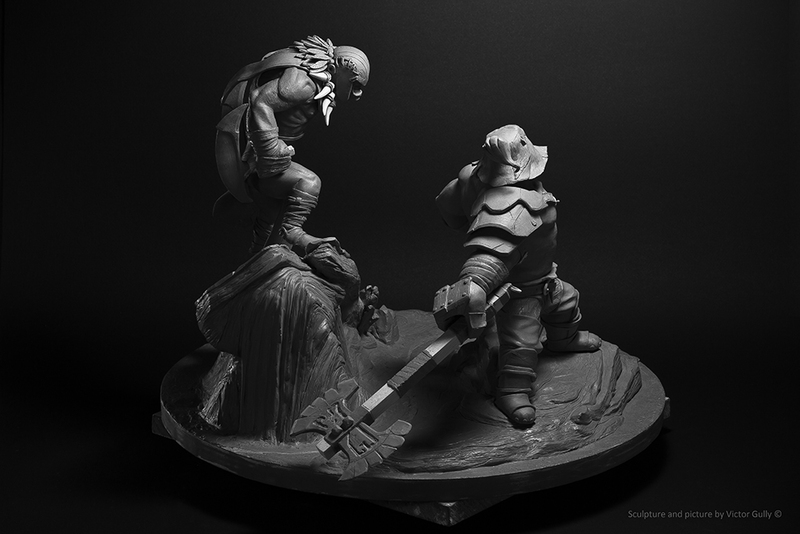 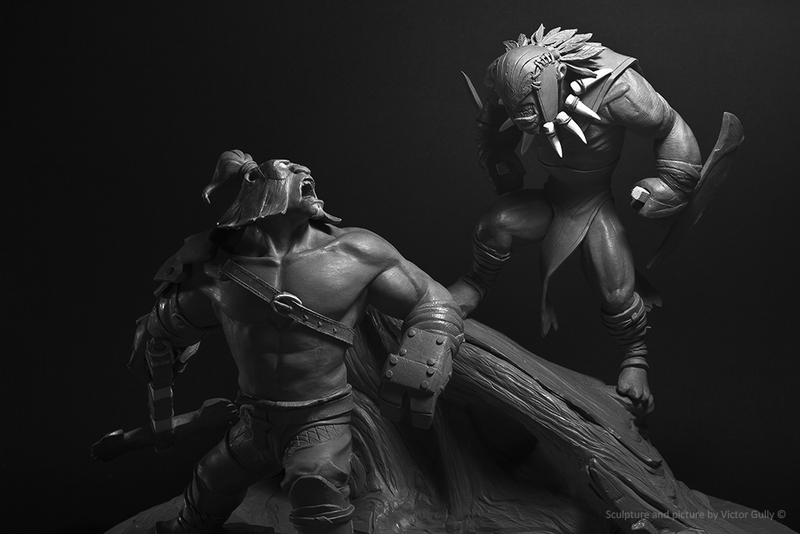 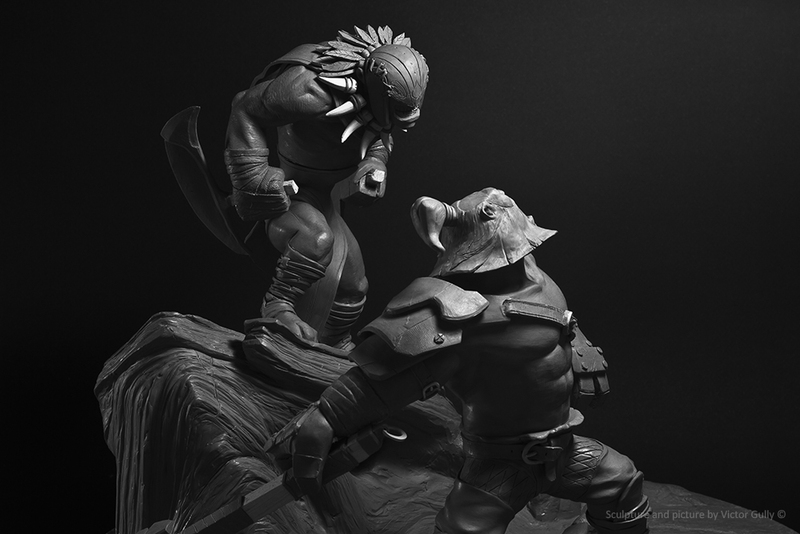 Sculpture tribute of Axe and Bloodseeker from Dota 2, created by Valve. 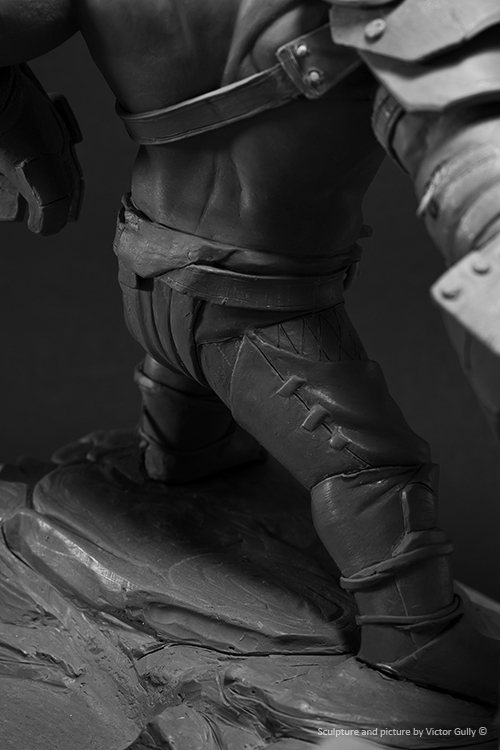 Size : 32 cm /12 .6 inches. 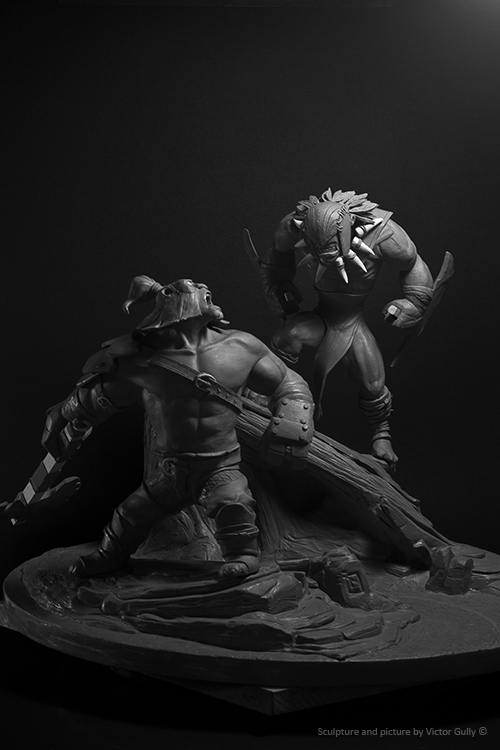 Inspired by their rivalry in the Dota 2 Gamescom Trailer. 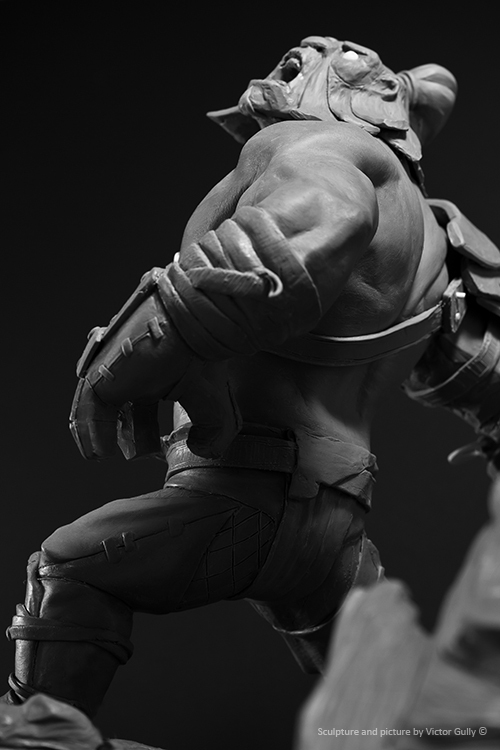 The character designs of this game are truly amazing. 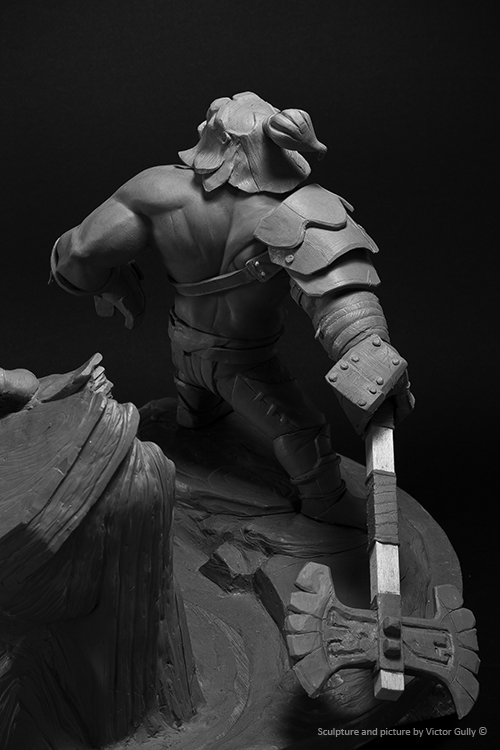 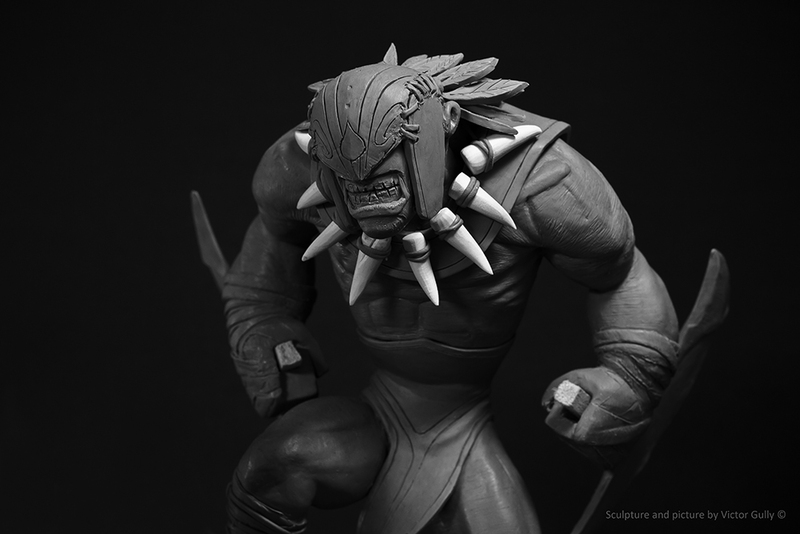 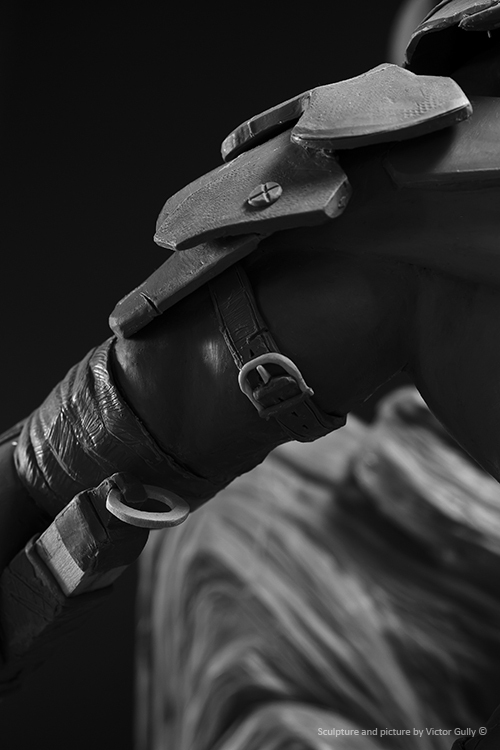 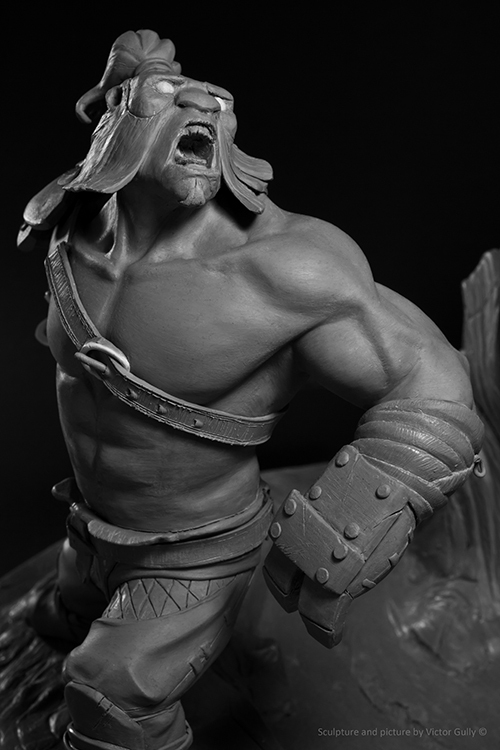 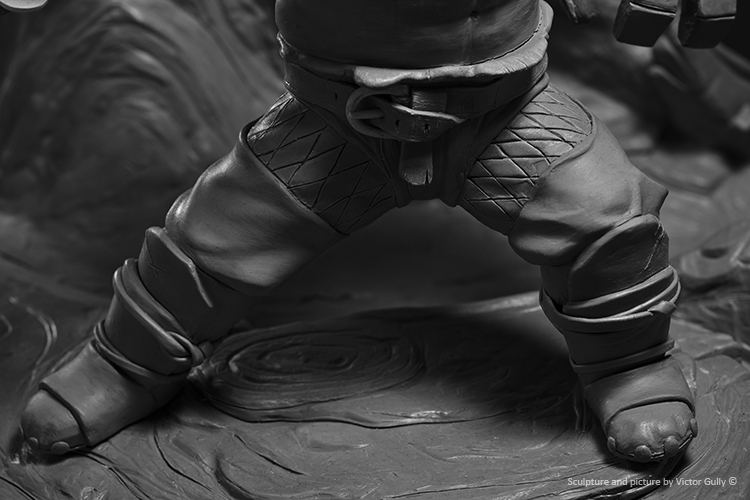 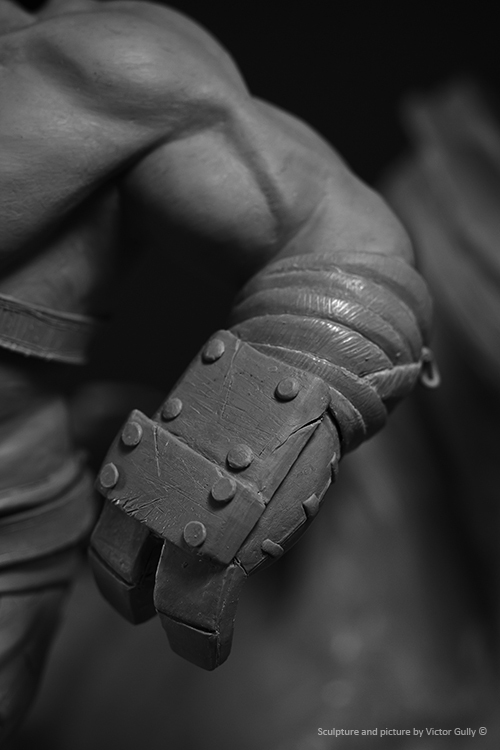 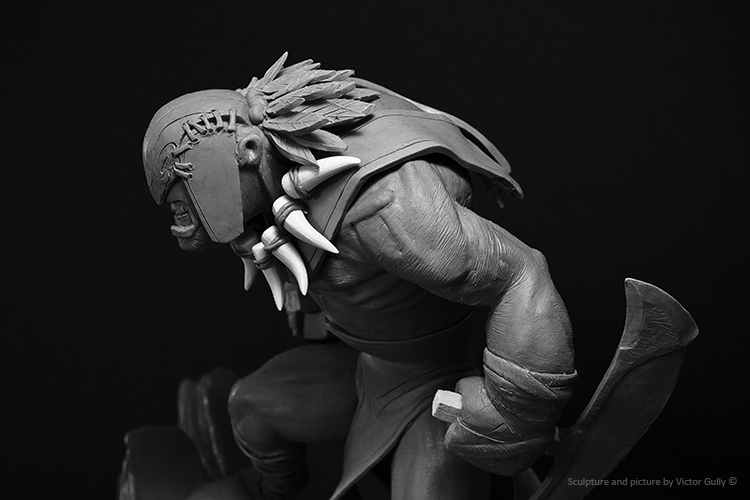 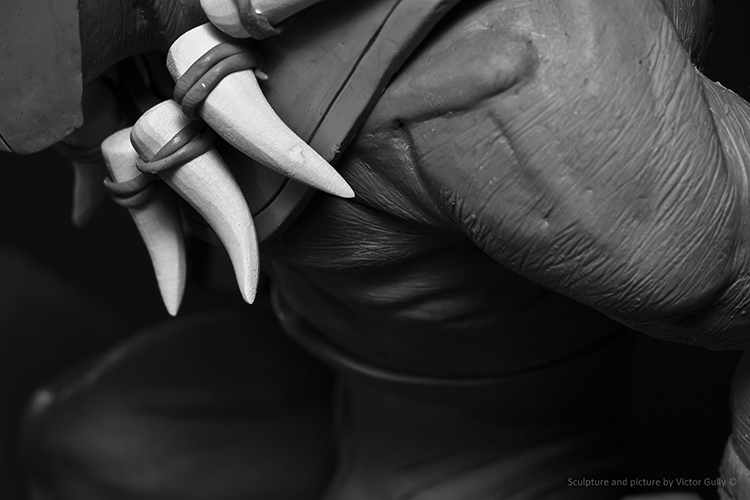 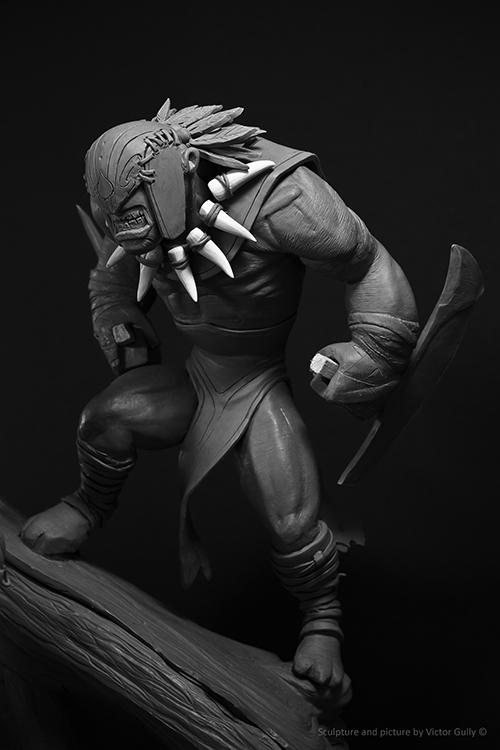 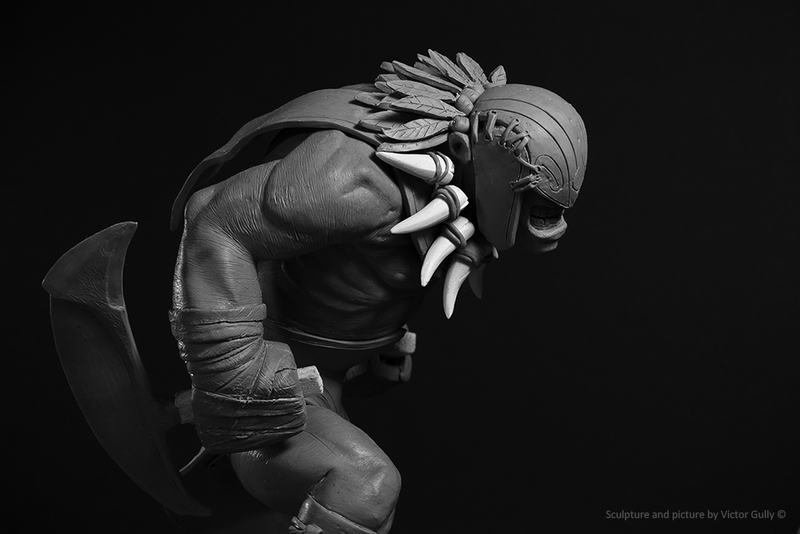 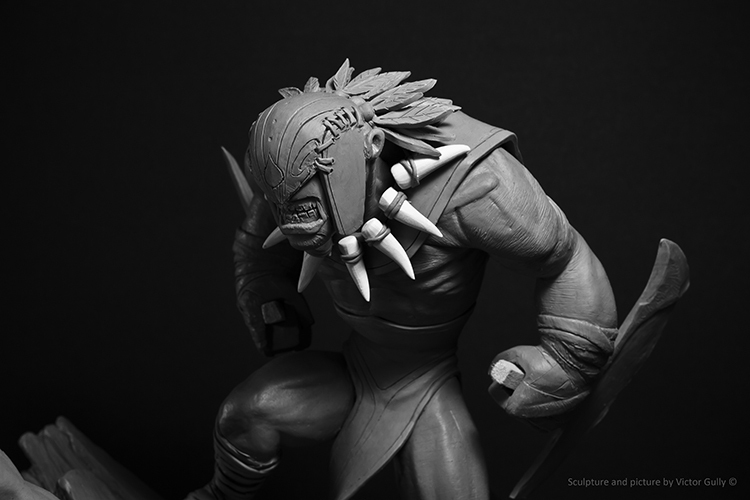 You can see the sculpting process in the wip-gallery section. 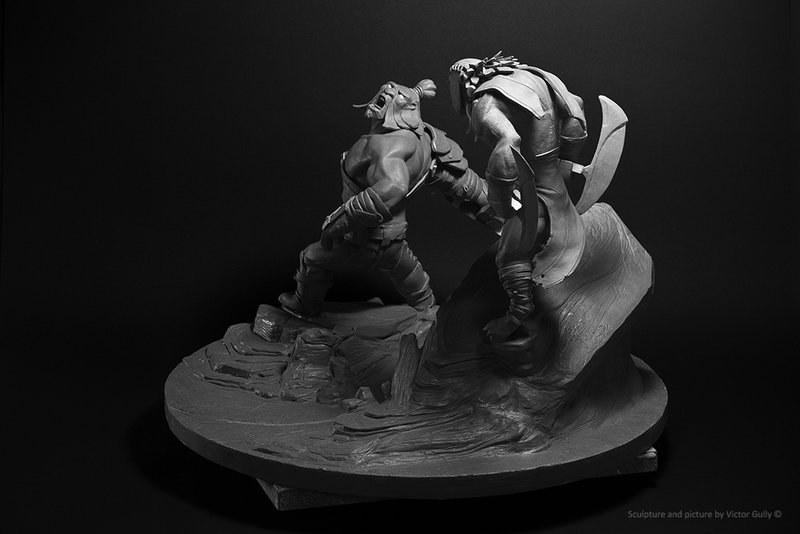 Started in June 2012. 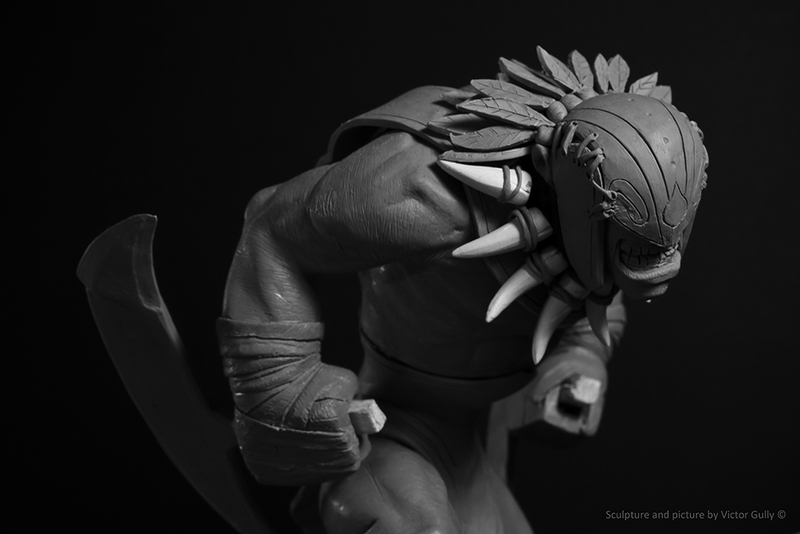 Sculpted in Chavant NSP Hard.